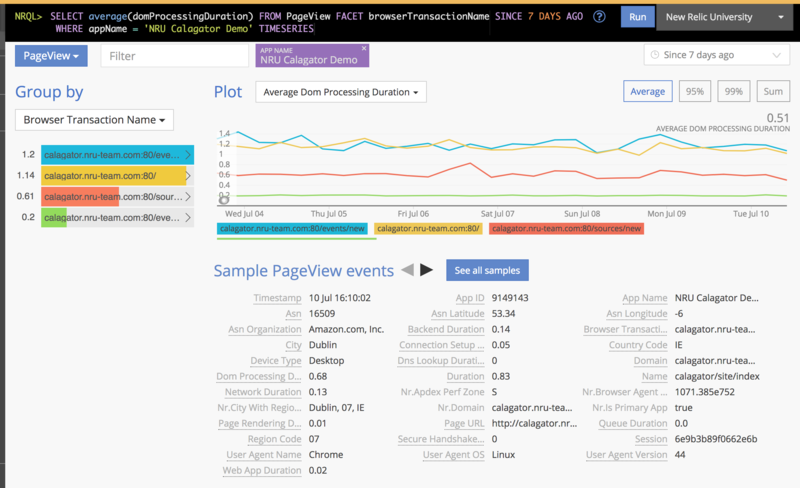 Learn how to use New Relic Insights to analyze and present custom, real-time data visualizations. Start with the Data Explorer where you can explore your data visually with a point, click, and search interface for creating charts and analyses in seconds. Copy the auto-generated New Relic Query Language, NRQL, to quickly modify queries and take your analysis to the next level. Navigate and use the Insights query bar history and favorites. Find, view, and query your data in the data explorer. Learn how to use Insights to analyze and present real-time data visualizations from APM, Browser, Mobile, and Synthetics for deeper analysis, segmentation, and filtering.